Calvert Hall, Gerstell and Indian Creek lacrosse all won their respective Maryland Interscholastic Athletic Association conference championships on Friday at Unitas Stadium in Towson. In the "A" Conference title game Calvert Hall defeated Boys' Latin 8-6. Grant Mitchell scored three goals for the Cardinals. Jack Sawyer and Daniel Kelly each added two goals and an assist as Calvert Hall won its second consecutive crown. Brendan Grimes tallied two goals and two assists for the Lakers. 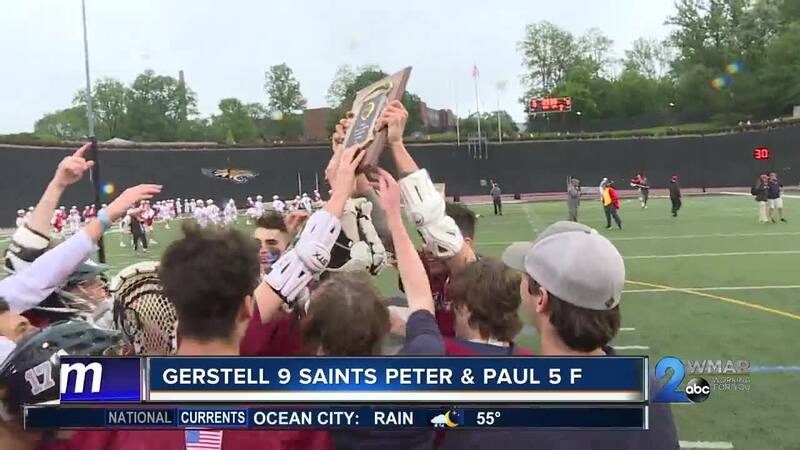 In the "B" Conference championship contest Gerstell scored eight unanswered goals to beat Saints Peter & Paul 9-5. Seth Higgins paced the Falcons with two goals and four assists. Nate Shafer scored three goals for the Sabres. In the "C" Conference tilt Indian Creek edged Annapolis Area Christian 15-13. Samuel Carter scored seven goals and helped out with three assists for Indian Creek. Jay Jenkins was impressive for the Annapolis Area Christian, scoring six goals and three assists. Indian Creek scored eight of the game's final nine goals.